Love from the Kitchen: From Our Kitchens to Yours Giveaway! From Our Kitchens to Yours Giveaway! You know I love to be in the kitchen, and today I am so excited to bring you all this giveaway! I've joined a few of my favorite bloggers (and one very awesome Pixie & Pirate Destinations vacation planner) to open up our kitchens & share with you all our favorite gadgets & gizmos from our cabinets, pantries, and drawers. Not only are we sharing with you all why we love those kitchen goodies, but we want to give one lucky winner every single one of these things in our From Our Kitchens to Yours giveaway! Yep. One of you all will win this awesome kitchen prize package worth over $110! "I really love this Dessert Decorator Pro! It's great for decorating cupcakes, making fancy swirls on deviled eggs and filling creme puffs or donuts. Perfect for savory and sweet dishes. I also like the quality and has a great grip handle. I find myself reaching for it often. Hope you would like it as well!" 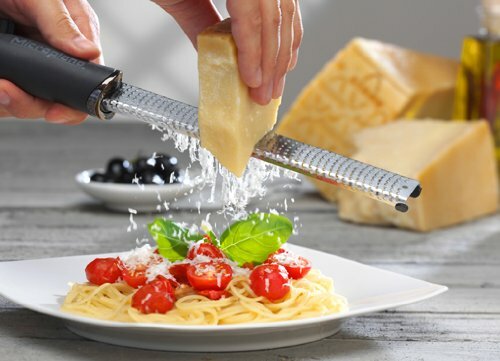 "I love the Microplane Grater! It makes quick and easy work of grating citrus peel, parmesan cheese or fresh spices and since I'm a lemon lover extraordinaire, it seems like I'm always grating lemon. You'll reach for this tool time and again! It's a must for all lemon lovers!" "In my kitchen, there's one tool that I reach for again and again, almost on a daily basis. I absolutely love my cookie scoop! Sure, I use it for cookies, but I've also used it to add filling to mini loaves of bread and even to fill my Four Cheese and Spinach Stuffed Shells! It just makes my time in the kitchen easier and a whole lot cleaner!" "Our family loves pizza nights, so having a good, long-lasting Pizza Cutter is essential! Whether you slice your pizza in squares like my kids prefer, or slices like us 'big kids' enjoy, it works fabulously!" Use your pizza cutter to make Danielle's Homemade Chicken Alfredo Pizza. 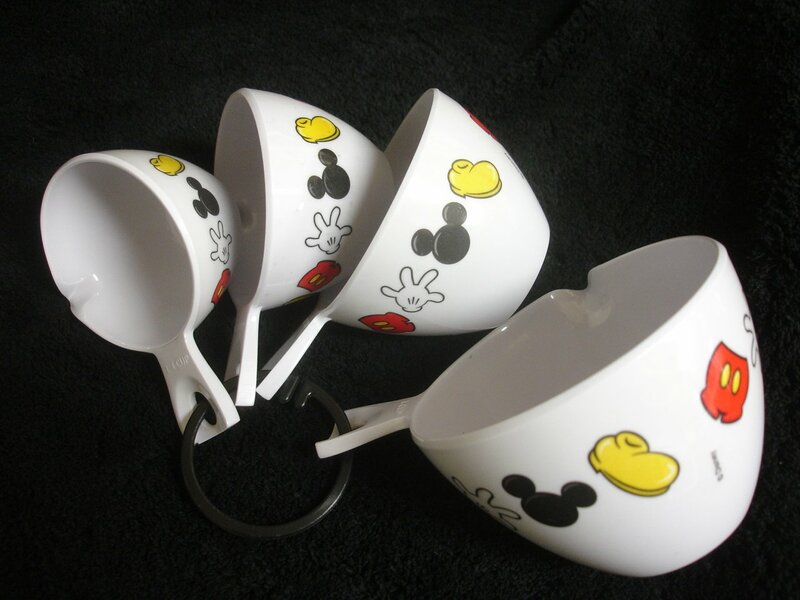 "This is the perfect way to add a little Mickey to your every day life!" 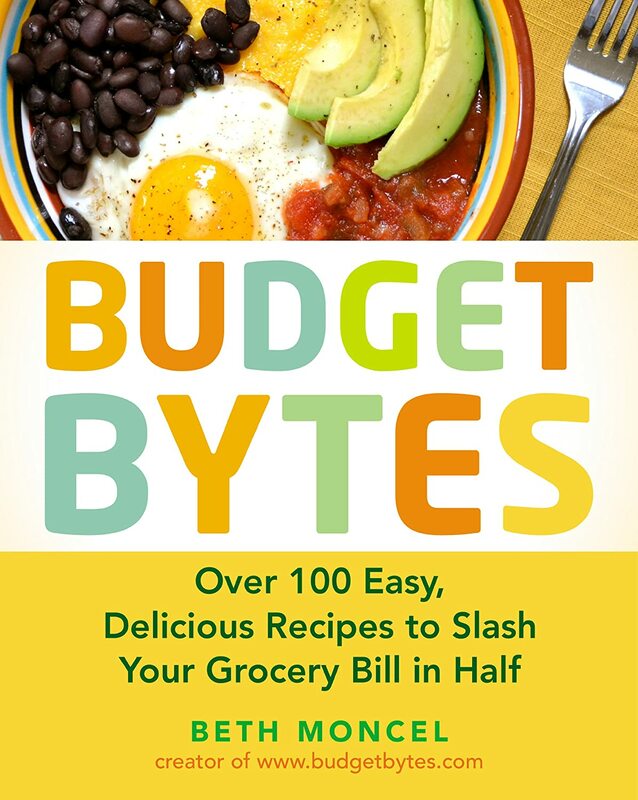 "The Budget Bytes cookbook is one my absolute faves at the moment! Beth breaks down each recipe according to price point and has delicious recipes to fit any budget. You must try her Homemade Naan Bread, the Chinese Chicken Noodle Soup, & The One Chocolate Mug Cake- my 3 favorites!" 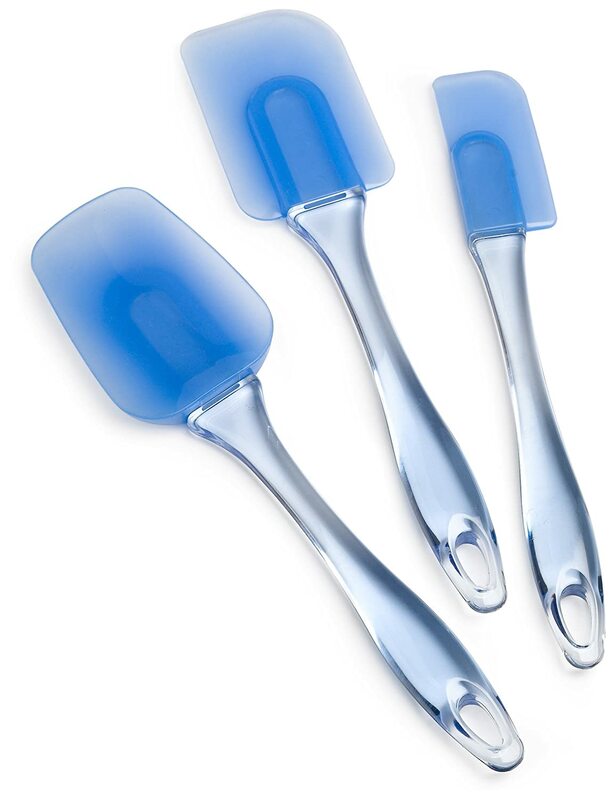 "I use these silicone spatulas and tongs (though mine are red!) in my kitchen every day. They are super-versatile - and safe for my nonstick cookware. I love the control that the tongs give, and the three different sizes of spatulas gives you a tool for every use. 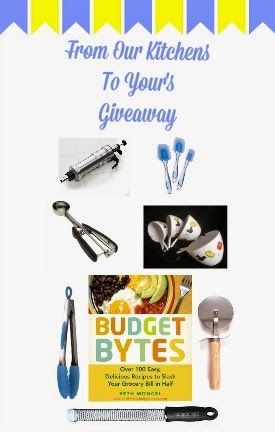 These are my favorite kitchen tools - I know you will love them too!" Are you all ready to get entered?? Be sure to read the terms & conditions and then use the Rafflecopter below to get entered! :) You can't win if you don't enter! *This giveaway is open to U.S. residents only. All entries for the winner will be checked and verified, so please make sure you are doing what you are claiming in the Rafflecopter or all your entries will be voided. No funny business, folks. ;). By entering you give the right to use your name and likeness. Number of entries received determines the odds of winning. One winner will be selected. The winner will be notified via the email they provide, and will have 48 hours to reply to the email. If the winner does not reply back within the 48 hours, they forfeit the prize and a new winner will be chosen via Rafflecopter. This is a giveaway sponsored as a group buy, which means the bloggers pooled their money together to purchase these products for you. The prize package will be sent via Amazon directly from Carrie of Frugal Foodie Mama. Entries must come from your MAIN social media accounts, not accounts that have been set up separately just for entering giveaways. Entries from these types of accounts will be disqualified. Protected tweets do not count as an entry method for tweeting. Tweets must come from a public account. Bloggers in this group giveaway and their immediate family members in their household cannot enter or win the giveaway. No purchase necessary. Void where prohibited by law. **Please note if an item listed above is no longer available at the close of the giveaway, a like item of equal value from Amazon will be substituted. 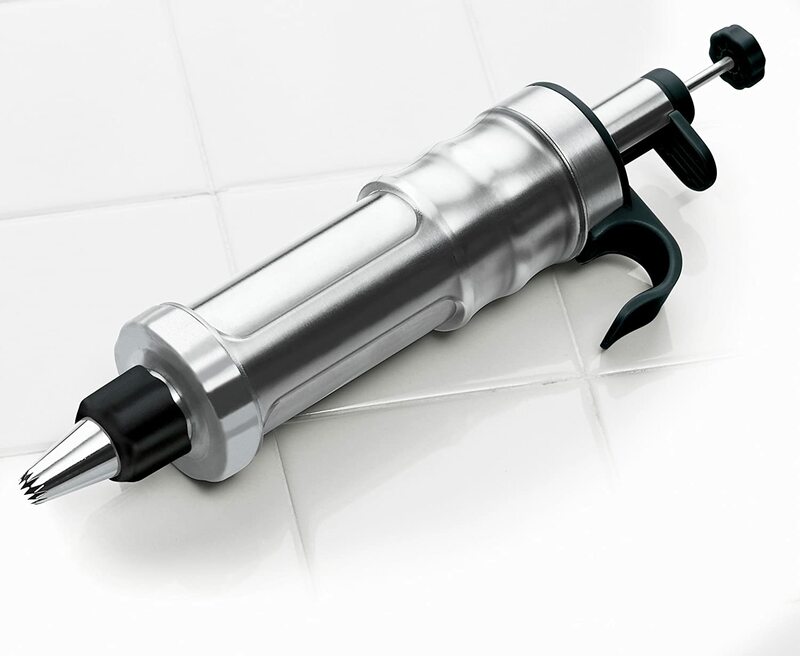 Deb from Cooking on the Front Burner's dessert decorating tool! I have always wanted one of these! Thanks for the giveaway! I really want to win the spatula and tongs set. HI! I really like a nice heavy pizza cutter so that is what I'm most excited about. All of the items are really lovely though. Thank-you for the generous giveaway! 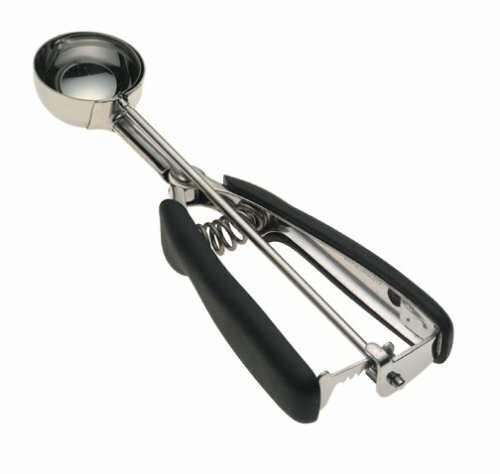 I would love to win the cookie scoop!